The day started with good news. The Liberty Station Community Association approved of our new garden plans around HTH. This green light came just in time, as we were just heading out to visit Tijuana Estuary and then Recon Native Plant Nursery. Debbie Good, USFWS Ranger and native plant expert greeted us at the entrance to Tijuana Estuary. Her stories and native plant natural history information gave students new perspective on these plants. The mature coastal sage scrub lining the estuary also inspired us to get going and plant more! 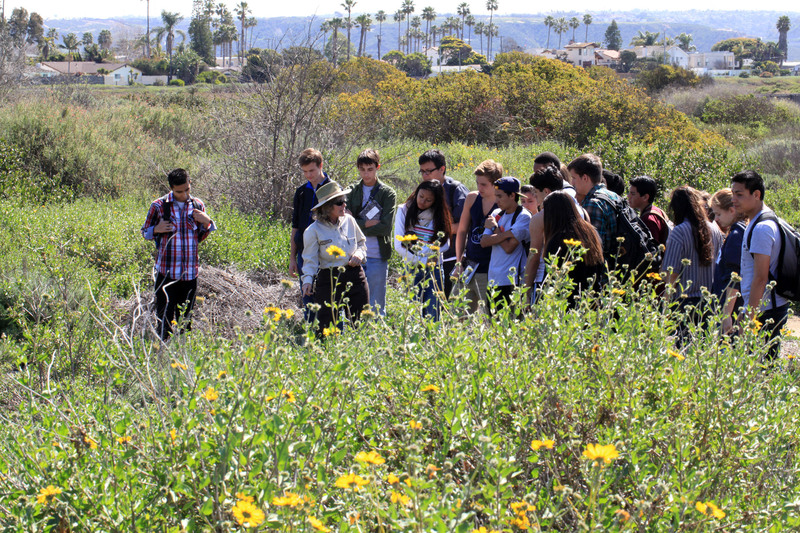 Debbie Good (USFWS) toured the students through the coastal sage scrub surrounding the estuary. We had a great overview of Recon Native Plant Nursery from Patrick Montgomery who I had been in touch with regarding the purchase of plants needed for our habitat restoration project. Recon cultivates a wide variety of plants for the diverse habitats of San Diego and beyond. The ride home was a dream. 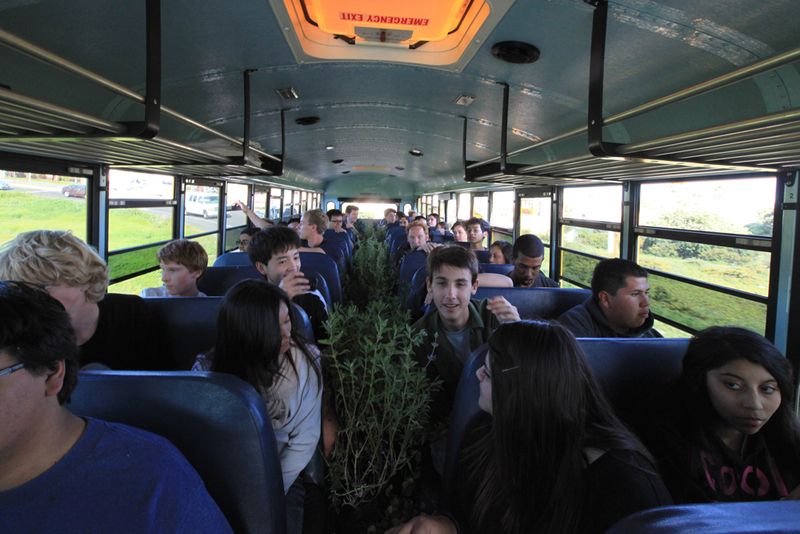 A busload full of native plants! The smell turned the bus into a wonderful coastal sage scrub forest. If only we could routinely spend more time with these plants… maybe our commutes wouldn’t be so stressful!? Can’t wait to see the new garden!